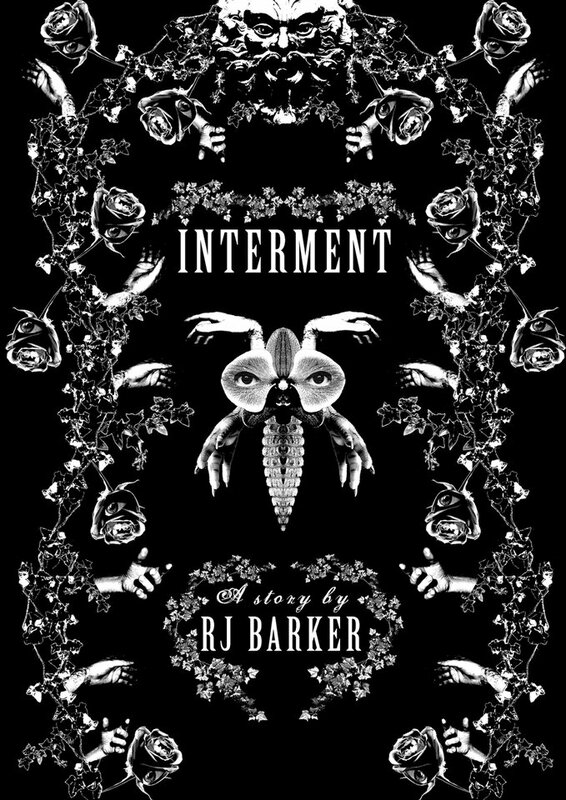 Interment is the first part of a trilogy of prose poems, which will be followed by The Social Diary of a Ghoul and The Boy Who Listened in at Doors. Short prose poems, the words are by the excellent of hair RJ Barker and these are illustrated Mikko Sovijärvi, a man of (mostly) fine musical taste. Here comes an admission followed by a disclaimer. I’ve been struggling to do something clever with this (plus ça change, eh, dear reader?*). This is no reflection on the quality of the work; on the contrary, I enjoyed it a lot. The poem has an excellent sense of brooding horror which is complemented perfectly by the illustrations. I feel that I should also note that RJ Barker is a fine fellow who was a great source of chat and hilarity during an unfortunate period of unemployment. So if you wish to take my praise with a pinch of salt, then do so. I hope, though, that someone who fancies a bit of psychological dread topped with some dark, brooding collages would be willing to take a look. You may be surprised. Buy (go on). *Also, I realise that this makes me a pretentious git. I’m going to say that it is the least of my crimes against good taste. This entry was posted in Review, Uncategorized and tagged poem, RJ Barker and Mikko Sovijärvi. Bookmark the permalink.